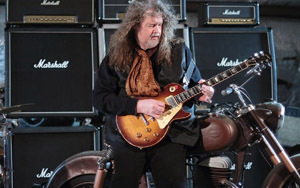 Darryl St. John - Died 7-10-2015 - natural causes - 65 y/o - guitar (Rock) - Played in Atlantic Mine, Black Dog, Red Light Fright - worked with Neal Schon, Steve Perry, Ronnie Montrose, Peter Tork, Dave Steffen, Robin Trower, and Davey Pattison. Pat Coniff - Died 5-16-2015 - illness - Born 4-28-19488 - Owner of Green Bay, WI blues club Heroes. Cilla Black (Priscilla Maria Veronica White) (aka Swinging Cilla) - Died 8-1-2015 in Estepona, Costa del Sol, Spain - Stroke (Pop - Merseybeat) Born 5-27-1943 in Vauxhall, Liverpool, England - Singer and actress - (She did, “You’re My World” and “Alfie”) - Hosted TV’s, “Cilla” - Worked with Rory Storm And The Hurricanes, Kingsize Taylor And The Dominoes and The Big Three - She had been married to songwriter, Bobby Willis. Billy Sherrill (Billy Norris Sherrill) - Died 8-4-2015 in Nashville, TN, U.S. - Illness (Country) Born 11-5-1936 in Phil Campbell, Alabama, U.S. - Producer, songwriter and arranger - (Co-wrote, “Almost Persuaded” and “Stand By Your Man”) - Worked with Tammy Wynette, Marty Robbins, Ray Charles, Ray Conniff, Bobby Vinton, Elvis Costello, Johnny Paycheck, Andy Williams, David Allan Coe, Cliff Richard, Tanya Tucker, Barbara Mandrell, Johnny Cash, David Houston, Charlie Rich and George Jones - Musicians Hall Of Fame And Museum Inductee and Country Music Hall Of Fame Inductee. Giancarlo Golzi - Died 8-12-2015 - Heart attack (Progressive - Pop) Born 2-10-1952 in Sanremo, Italy - Drummer - Worked with Museo Rosenbach - Was a founding member of Matia Bazar (They did, “Solo Tu” and “Ti Sento”). Danny Sembello (Daniel Sembello) - Died 8-15-2015 - Drowned in the Schuylkill River near Philadelphia, PA, U.S. - Born 1-15-1963 - Songwriter and multi-instrumentalist - Wrote songs for The Pointer Sisters (“Neutron Dance”), Chaka Khan, Patti LaBelle (“Stir It Up”), Irene Cara, Rene & Angela and Jeffrey Osborne - Produced George Benson and Pebbles - Brother of singer and musician, Michael Sembello. Doudou N’Diaye Rose (Mamadou Ndiaye) - Died 8-19-2015 in Dakar, Senegal - Born 7-28-1930 in Dakar, Senegal - Drummer - Led The Doudou Ndiaye Rose Orchestra - Worked with Miles Davis, The Drummers Of West Africa, Dizzy Gillespie, Alan Stivell, The Rolling Stones, Josephine Baker, Peter Gabriel, Bill Bruford and Les Rosettes. Daniel Rabinovich (Daniel Abraham Rabinovich Aratuz) - Died 8-21-2015 - Cardiac problems (Comedy Music) Born 11-18-1943 in Buenos Aires, Argentina - Sang and played guitar, drums and violin - Was a member of Les Luthiers. Judy Carne (Joyce Audrey Botterill) - Died 9-3-2015 in Northampton, Northamptonshire, England - Pneumonia - Born 4-27-1939 in Northampton, Northamptonshire, England - Actress - (She did the song, “Sock It To Me”) - She was a regular on TV’s, Rowan & Martin’s Laugh-In - She had been married to actor, Burt Reynolds and producer, Robert Bergmann.